An article of manufacture, a system, and a method for at least partially deionizing water, including but not limited to converting tap water into essentially deionized water that can be used for numerous purposes including, but not limited to cleaning and/or treating surfaces, including surfaces such as ceramic, steel, plastic, glass and/or painted surfaces such as the exterior surface of a vehicle, is disclosed. This application is a continuation-in-part of U.S. patent application Ser. No. 10/022,027 filed on Dec. 13, 2001, which is a continuation-in-part of U.S. patent application Ser. No. 09/972,090 filed on Oct. 5, 2001, which is a continuation-in-part of U.S. patent application Ser. No. 09/950,757 filed on Sep. 11, 2001, which is a continuation-in-part of U.S. patent application Ser. No. 09/875,311, filed on Jun. 6, 2001, which claims the benefit of the filing date of PCT international patent application US00/16349 filed on Jun. 14, 2000; U.S. patent application Ser. No. 09/876,363, filed on Jun. 7, 2001, which claims the benefit of the filing date of provisional U.S. patent application No. 60/265,059, filed on Jan. 30, 2001; and U.S. patent application Ser. No. 09/828,014 filed on Apr. 6, 2001. There are numerous embodiments of the article of manufacture, system, and method, all of which are intended to be non-limiting examples of the article, system, and method of the present invention. In one non-limiting embodiment, the article of manufacture comprises a purifying device for use in an end of the hose water purifier, and the purifying device comprises a structure where the water flows through a sequential or mixed bed arrangement of at least two of the following types of ion exchange resins: WAC/SAC/WBA/SBA ion exchange resins at a flow rate of greater than or equal to about 14 gallons/minute/ft 3 (about 1.9 liters/minute/liter) of the total volume of ion exchange resin, preferably greater than or equal to about 20 gallons/minute/ft3 (about 2.7 liters/minute/liter). FIG. 1 shows one non-limiting embodiment of a purifier  50 that can comprise the article of manufacture. The purifier can be in any suitable configuration. In some embodiments, the purifier 50 is portable. It can also be hand held. The purifier 50 can be incorporated into any suitable structure, such as in the form of a cartridge 52 shown in FIG. 2. The purifier can be permanent or replaceable. In one non-limiting embodiment, the purifier can be of a type that is removeably attachable to the end of a garden hose. Preferably, however, in the embodiment shown in the following drawing figures, the purifier 50 is of a type that is incorporated into the sprayer 20 (shown in FIGS. 6 and 7) that is attached to a garden hose 24. This purifier  50 shown is a generally cylindrical purifier. In the non-limiting embodiment shown, the purifier is in the form of a structure comprised of two cylindrical portions that are joined together along their axes to form a compound cylindrical structure with a cross-section that resembles the figure “8”. The purifier 50 can be inserted into and removed from the sprayer housing 22 through an opening 54 in the lower portion 20B of the sprayer 20. In one non-limiting embodiment, the purifier 50 comprises an ion exchange medium such as an ion exchange resin purifier for removing dissolved ions including cations such as Ca, Mg, and Na, and anions such as SO4, NO3, and Cl, from the water. The ion exchange resin is selected from the group of strong acid cation (SAC), strong base anion (SBA), weak acid cation (WAC) and weak base anion (WBA) ion exchange resins. Strong acid or strong base ion exchange resins are those which comprise a strong acid or base functionality. A strong acid or strong base functionality are those which have a pKa or pKb, respectively, of higher than 2.5. A weak acid or base functionality is defined by a pKa or pKb, respectively, of less than 2.5. The purifying material may, in certain embodiments, comprise a mixture of two, or more different ion exchange resins, or more preferably, comprises layers of two or more different ion exchange resins. In certain preferred embodiments, the purifier comprises at least an SAC ion exchange resin and a WBA ion exchange resin. The purifier  50 can optionally comprise any of the other ion exchange resins described herein. In one non-limiting embodiment, the purifying device comprises two different ion exchange resins. In one variation of such an embodiment, the purifying device can comprise an SAC ion exchange resin and a WBA ion exchange resin. FIGS. 1 and 2 show one possible arrangement of these ion exchange resins. As shown in FIG. 2, the purifying device can comprise a cartridge  52 having two compartments of different size 56 and 58. The larger compartment 56 can contain the SAC resin, and the smaller compartment 58 can contain the WBA resin. In other embodiments, however, the types of resin in the compartments could be reversed if lower capacity WBA resin is used. The different sized compartments contain the relatively larger amount of SAC ion exchange resin required and the relatively smaller amount of WBA ion exchange resin required. The compartments can differ in size due to differences in the size of their cross-sections (e.g., diameter in the case of cylindrical compartments) and/or their length, or aspect ratio (ratio of largest dimension to smallest dimension (e.g., in the case of a cylindrical cartridge, the length of the cartridge divided by the diameter of the cartidge). There is preferably a flow path, such as in the form of a channel, between the compartments, and the different ion exchange resins can have elements for containing the resin, such as the resin containment pieces shown. The size of the purifier  50 expressed in terms of the volume of ion exchange resin therein may, in some embodiments, be such that the total volume of ion exchange resin is between about 5 in3 (about 82 cc) (cubic centimeters) and about 25 in3 (about 410 cc), preferably between about 10 in3 (about 164 cc) and about 20 in3 (about 328 cc), and more preferably between about 12 in3 (about 197 cc) and about 17 in3 (about 279 cc). The purifier  50 can be of any suitable weight. In some embodiments, the purifier 50 is relatively light weight in comparison to prior types of purifiers. In certain embodiments, the purifier 50 weighs less than or equal to about 1.1 lb. (500 grams), more preferably about 300 grams in use (when water is passing through the same). In one non-limiting example, the SAC column of ion exchange resin is about 1.5 inches (about 2.3 cm) in diameter and about 4.75 inches (about 12 cm) in length, and thus has an aspect ratio of about 3.2, and the WBA column is about 1.15 inches (about 2.9 cm) in diameter and about 5.1 inches (about 13 cm) in length, and thus has an aspect ratio of about 4.5, or an overall average aspect ratio of about 7.5 for both columns. In other non-limiting embodiments, the dimensions of the volume of ion exchange resin used can be any dimensions that will fall within the equations set forth above. In operation, the SAC ion exchange resin produces acids such as H 2SO4 and HCl and the WBA ion exchange resin functions as a strong mineral acid absorber. Therefore, in this embodiment, the compartments are preferably arranged so that the water passes through the WBA ion exchange resin compartment after it passes through the SAC ion exchange resin compartment. In a preferred embodiment, small particle size resin beads are used for higher ion exchange efficiency. By “small particle size resin beads”, it is preferably meant beads of less than 1.0 mm in diameter, more preferably less than 0.6 mm and most preferably less than 0.4 mm in diameter. It is believed that small particle size resin beads provide improved efficiency due to the faster ion exchange kinetics of the smaller particle size resins. The faster kinetics results in greater utilization of the ion exchange capacity. In one non-limiting embodiment, the filter has a volume capacity of no greater than 25 in 3 and is suitable for use in a hand-held device. In other non-limiting embodiments, the filter has a volume capacity of at least 4 in3, more preferably at least 6 most preferably at least 8 in3. In some embodiments, the purifying device  50 may be capable of permitting water to flow through the same at a flow rate greater than or equal to about 14 gallons/minute/ft3 (about 1.9 liters/minute/liter) of the total volume of ion exchange resin, preferably greater than or equal to about 20 gallons/minute/ft3 (about 2.7 liters/minute/liter) of the total volume of ion exchange resin. In other embodiments, the purifying device may be capable of permitting water to flow through the same at a flow rate of greater than or equal to about 27 gallons/minute/ft3 (about 3.6 liters/minute/liter), preferably 37 gallons/minute/ft3 (about 4.9 liters/minute/liter) of the total volume of ion exchange resin. In some embodiments, the purifying device is capable of generating greater than or equal to about 6.2 gallons of water having a conductivity of less than or equal to about 50 micromho (reciprocal of Ohms) from the test water described herein at a flow rate less than or equal to about 43 gallons/minute/ft 3 of resin. At a flow rate of about 20 gallons/minute/ft3 gallons/minute/ft3 of resin, the purifying device can generate greater than or equal to about 8.5 gallons of water with the specified conductivity. Flow rates between 20 and 43 gallons/minute/ft3 of resin would generate between about 6.2 and 8.5 gallons of water with the specified conductivity. The measurement of conductivity of the water that passes through the purifier is believed to be a better measure than simply measuring hardness in terms of CaCO3 (e.g., below 30 ppm CaCO3) because such a hardness level could still allow certain substances, including but not limited to Na (e.g., NaCl) to pass through at levels that can leave unacceptable residues on surfaces (if the purifier is used to purify water that is applied to surfaces). Measuring conductivity also has the advantage of ensuring that the water has a more neutral pH. Depending on the embodiment, the purifier may provide various advantages. It should be understood, however, that the purifier need not provide all of these advantages, and only the advantages that are specifically set forth in the appended claims, if any, are required to be present in the claimed invention. The purifier may be more compact than some prior devices (for example, in one embodiment, the purifier may be about 6 inches (about 15 cm) long and contain about 13.5 in 3 (about 220 cc) of ion exchange resin). In addition, in some embodiments, the water may be passed through the purifier at higher flow rates per volume of resin (for example, in one embodiment, the above compact purifier may provide sufficient deionization at a flow rate of between about 0.27 and about 0.39 gallons/minute (about 1 - about 1.5 L/minute). This would correspond to a flow rate per volume of resin of between about 35 and about 50 gallons/minute/ft3 (about 4.6 to about 6.6 liters/minute/liter) of resin. The spray device  20 can be in any suitable configuration. The type of spray device can range from very simple connections to a tap water source to more complex devices. Spray devices could have a single flow path, multiple flow paths, reservoirs and associated delivery systems (orifice meters or venturi) for cleaning compositions or treating compositions. The spray device may be hand held, or it may comprise at least a portion that is attached to or supported by the user's body or clothing (including, but not limited to the user's belt, or in the form of a backpack), or a portion of the device may rest on the ground, or on a mobile platform such as a cart. FIGS. 1 and 2 show one non-limiting embodiment of an ergonomically-designed, hand-held hose-end sprayer 20 that can be used in the system and method of the present invention. It should be understood that the system and method of the present invention are not limited to use with the embodiment of the sprayer shown in the drawings, and that many other types of sprayers, or other types of applicators, can be used. As shown in FIGS. 6 and 7, this embodiment of the sprayer  20 has a generally triangular shape (and more particularly, a right triangular shape) when viewed from the side. FIG. 2 shows that the sprayer 20 has an upper portion 20A, an opposed lower portion 20B that is generally oriented toward the ground when the sprayer is in operation, a front portion 20C that is oriented toward the surface to be sprayed when the sprayer is in operation, and an opposed rear portion 20D. The sprayer  20 comprises a housing or structure 22. The housing 22 has three portions: first portion 22A, second portion 22B, and third portion 22C that form the triangular shape. Preferably water flows through the housing 22 when the sprayer 20 is connected to a hose 24 and is in use. The housing 22 has a generally centrally located opening 26 and a handle 28 for gripping by a user. The handle has an axis, A. The sprayer further comprises at least one spray nozzle 30 that is operatively connected to the housing 22, and a hose connection (or simply “connection”) 32 for the hose 24. FIG. 3 shows that in this embodiment, the sprayer  20 may also comprise one or more conduits (or flow channels or flow paths) through which water may flow. Preferably, in the embodiment shown, the sprayer housing 22 comprises three flow paths 34, 36, and 38. The sprayer 20 may also comprise a flow regulator 40, an on/off switch 42, a flow selector 44, a compartment 46 for a composition to be dispensed (such as the cleaning composition), a compartment 48 for a filter, and a filter 50. This embodiment of the sprayer 20 has three nozzles comprising first nozzle 30A, second nozzle 30B, and third nozzle 30C. The flow selector of the sprayer  20 can have any suitable settings, and any suitable number of settings. For instance, in one non-limiting embodiment, the flow selector may have settings for one or more of the following: “wash”, “normal rinse”, “purified rinse”, and “finish coat”. Of course, the flow selector need not include all of these settings, and other suitable names can be used for any of these steps. The selector valve system comprises any system which allows the user to select different settings on the device. Preferably, the valve system is capable of facilitating the user's compliance with a defined wash and rinse process comprising at least a washing step, an unpurified water rinsing step and a purified water rinsing step. The polymer used in these embodiments of the cleaning composition may be a homo or copolymer. In one embodiment, the polymer comprises at least one hydrophobic or cationic moiety and at least one hydrophilic moiety. The hydrophobic moiety may include, but is not limited to an aromatic, C 8-18 linear or branched carbon chain, vinyl imidazole or a propoxy group. Cationic moieties include any group that is positively charged or has a positive dipole. The hydrophilic moiety may be selected from any moiety that forms a dipole which is capable of hydrogen bonding. Suitable examples of such hydrophilic moieties include vinyl pyrrolidone, carboxylic acid, such as acrylic acid, methacrylic acid, maleic acid, and ethoxy groups. R 4 denotes a lower alkyl group of from 1 to 4 carbon atoms, preferably methyl or ethyl; X− 0 is chosen from the group consisting of Cl, Br, I, 1/2SO4, HSO4 and CH3SO3. The polymers can be prepared by the process described in French Pat. Nos. 2,077,143 and 2,393,573. While particular embodiments of the subject invention have been described, it will be obvious to those skilled in the art that various changes and modifications of the subject invention can be made without departing from the spirit and scope of the invention. In addition, while the present invention has been described in connection with certain specific embodiments thereof, it is to be understood that this is by way of illustration and not by way of limitation and the scope of the invention is defined by the appended claims which should be construed as broadly as the prior art will permit. 1. A purifying device for use in an end of the hose water purifier, said purifying device comprising a structure where the water flows through a sequential arrangement or mixture of at least two of the following types of ion exchange resins: WAC/SAC/WBA/SBA at a flow rate of greater than or equal to about 14 gallons/minute/ft3 (about 1.9 liters/minute/liter) of the total volume of ion exchange resin. 2. The purifying device of claim 1 wherein water flows through said structure at a flow rate of greater than or equal to about 20 gallons/minute/ft3 (about 2.7 liters/minute/liter). 3. The purifying device of claim 1 wherein the total volume of ion exchange resin is between about 5 in3 (about 82 cc) and about 25 in3 (about 410 cc). 4. The purifying device of claim 1 comprising a sequential arrangement or mixed bed of SAC and WBA ion exchange resins. 5. The purifying device of claim 1 wherein at least two different types of ion exchange resins are in the form of separate beds, and said separate beds differ in at least one of the following: cross-sectional area and aspect ratio. 6. 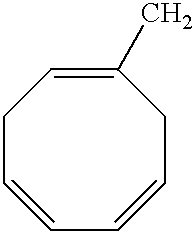 The purifying device of claim 4 wherein the WBA ion exchange resin comprises: 2-propenoic acid, methylester, polymer with diethenylbenzene, ethenylethylbenzene and 2-propenenitrile, reaction products with triethylenetetramine; a crosslinked copolymer of acrylate containing amino groups. 7. The purifying device of claim 4 wherein the WBA ion exchange resin has a capacity greater than or equal to about 1.1 eq./L. 8. A method of using the purifying device of claim 1 in the final rinse of a process of washing a vehicle. 9. A method of using the purifying device of claim 1 for rinsing surfaces treated with, or prior to treating with a surface modifying substance that reduces the contact angle of water with the surface to less than about 50 degrees. 10. A device comprising a soap reservoir and more than one flow pathway, and comprising the purifying device of claim 1. US5758825A (en) * 1997-02-06 1998-06-02 Hsu; Chi-Yuan Washing machine adapted for automatically washing vehicles, etc. ES2208863T3 (en) 1997-02-14 2004-06-16 THE PROCTER &amp; GAMBLE COMPANY Liquid compositions for cleaning hard surfaces. ES2291214T3 (en) * 2000-06-14 2008-03-01 THE PROCTER &amp; GAMBLE COMPANY Process for cleaning a surface. ES2355722T3 (en) 2011-03-30 Cleaning products for hard surfaces. ES2316391T3 (en) 2009-04-16 Cleaning compositions for hard surfaces.